Alain Prost won in Austria, his fourth win of the season, despite only leading for six of the 53 laps. He did his overtaking when needed and was exactly placed over the final stages of the race. His closest challenger, Nelson Piquet, came third, but Prost finished the weekend with a cushion of 14 points in the drivers' championship. Patrick Tambay's Ferrari led the sister car of Rene Arnoux and the Brabham of Piquet. Prost ran fourth with the second Brabham of Riccardo Patrese next up and these five built a sizeable gap over the rest of the field early on. Prost squeezed past Piquet at the Parmalat Chicane but contact was made between the two cars and although the Renault got by, Prost was unsettled by the incident and Piquet moved back ahead. Then leader Tambay was badly delayed by Jean-Pierre Jarier's Ligier ("driving with blinkers and blacked-out mirrors" according to The Times) and as he struggled to lap his fellow countryman, Arnoux and Piquet both jumped ahead. Prost pitted first followed by Arnoux leaving Piquet to lead Tambay who was really fired up once again. He pressured Piquet into a mistake and nipped by. Soon afterwards, Tambay was out with another engine failure leaving Piquet ahead of Arnoux and Prost. Piquet lost power in his BMW engine and started to slow, falling behind Arnoux and Prost. 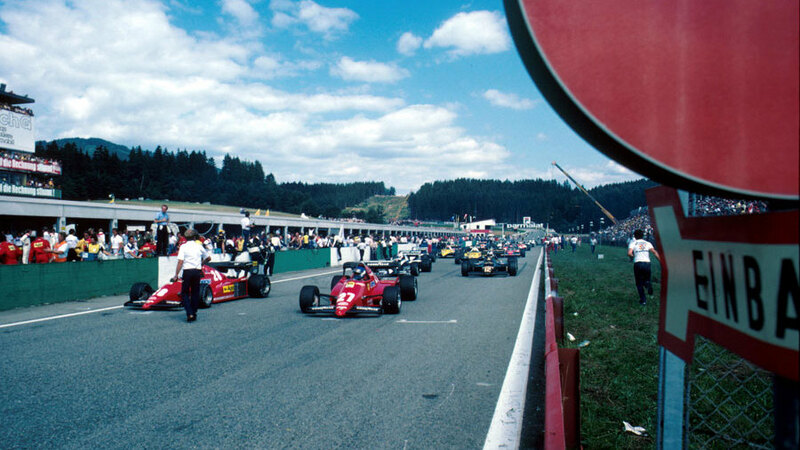 Six laps from home, Arnoux struggled to find fourth gear and Prost pounced and moved into the lead which he held on to with ease. Lotus, whose progress hiccupped in Germany, again showed its new car had potential to challenge. Nigel Mansell qualified in third and finished fifth after struggling with disintegrating tyres late on. His team-mate Elio de Angelis had a less impressive weekend, crashing his car at speed in practice and then lasting less than a lap in the race after a collision with Marc Surer and Danny Sullivan.